A day devoted to giving thanks to God has been part of our national life from the earliest days of our republic. Yet, faithful followers of Christ know that we should give thanks to God every day, not just on the federal holiday. 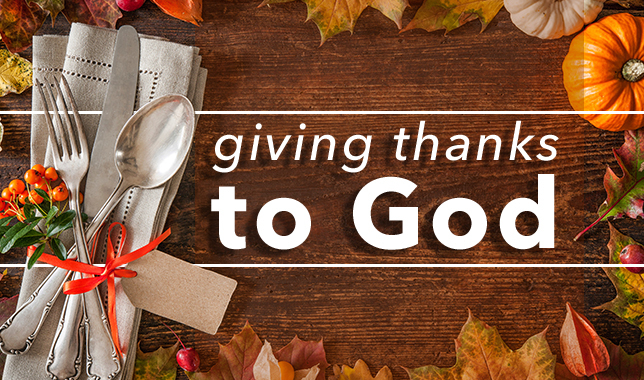 For the Scripture exhorts us to “give thanks in all circumstances; for this is the will of God in Christ Jesus for you” (1 Thessalonians 5:18, ESV). To develop a consistent attitude of gratitude is evidence that God’s Spirit is at work within us and is an indicator of growing personal and spiritual maturity. So, today . . . and every day, pause, pray, and really give thanks to God!